When Lancome bent the mascara rules with Lancome Grandiose Mascara ($35 at thebay.com and $32 at nordstrom.com), many a first thought was "gimmick!" But -- and you know this if you&apos;re a beautygeek -- it&apos;s so not. Oh, and hey -- maybe you&apos;d like a how-to on the look Penelope Cruz wears in the above image? I mention this little detail in every Lancome Grandiose Mascara post I do: the beauty brand trademarked swan-neck. If you&apos;ve tried the mascara, then maybe you&apos;ll agree it signals a committment to a good cause. Efficient mascara application is a good cause, right? Whether you have or haven&apos;t tried Grandiose Mascara, we&apos;d like to hang out with you! Lancome Canada&apos;s official makeup artist Lora Spiga and I are set to chat about all things Grandiose via a live Google Hangout this Thursday October 9th at 7pm. Although you&apos;ll do eye makeup first (easier to wipe any eye-makeup fallout off bare skin), prep face with Visionnaire serum to help foundation glide on easily when the time comes. Apply a light eye treatment such as Genefique Light Pearl for hydration. Prep lids with a waterproof eyelid primer such as La Base Paupieres Aquatique to help colour pop and stay put. From the Color Design 5-Pan Shadow Palette in Taupe Craze, apply the light shade on the inner corners of the mobile lid, and concentrate colour at the tearducts. 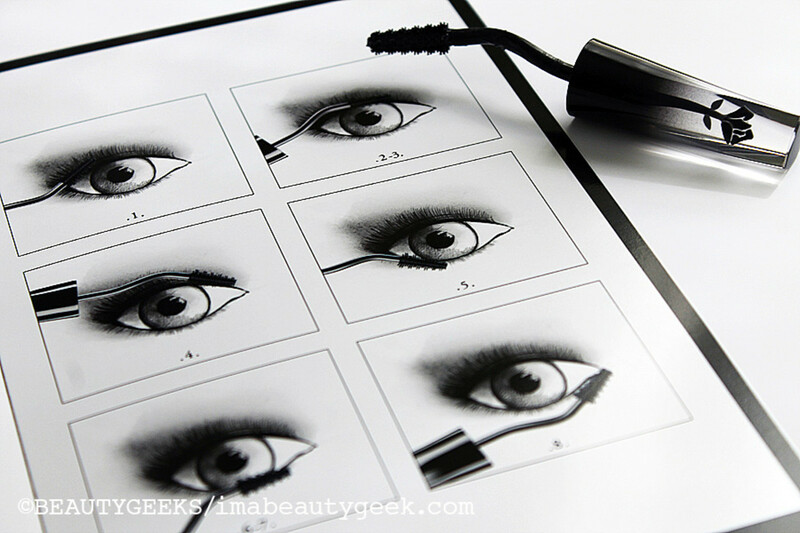 Line top and bottom lashlines with a well-sharpened Le Crayon Khol in Black. Set liner with either a black shadow or the darkest shade in the Gris Fatale palette. 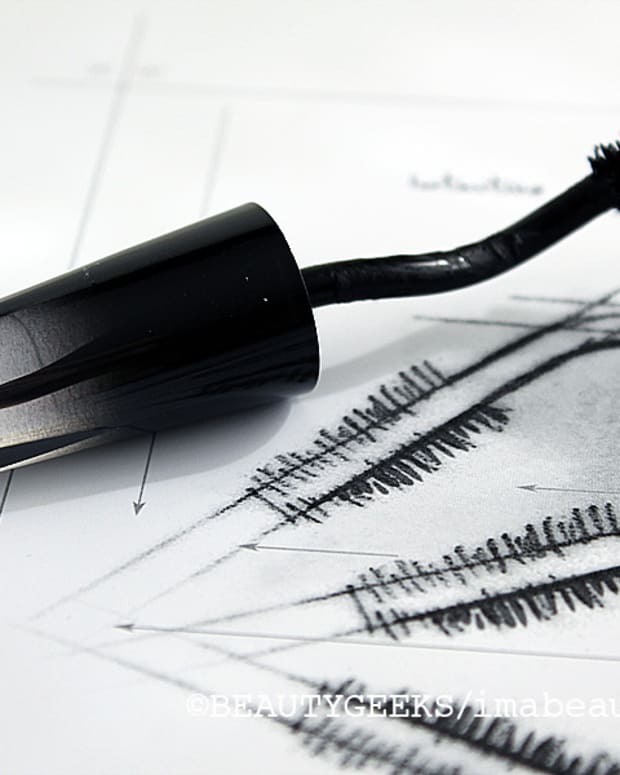 Intensify the lash line with black liquid liner such as Artliner Precision Point Eyeliner in Black. 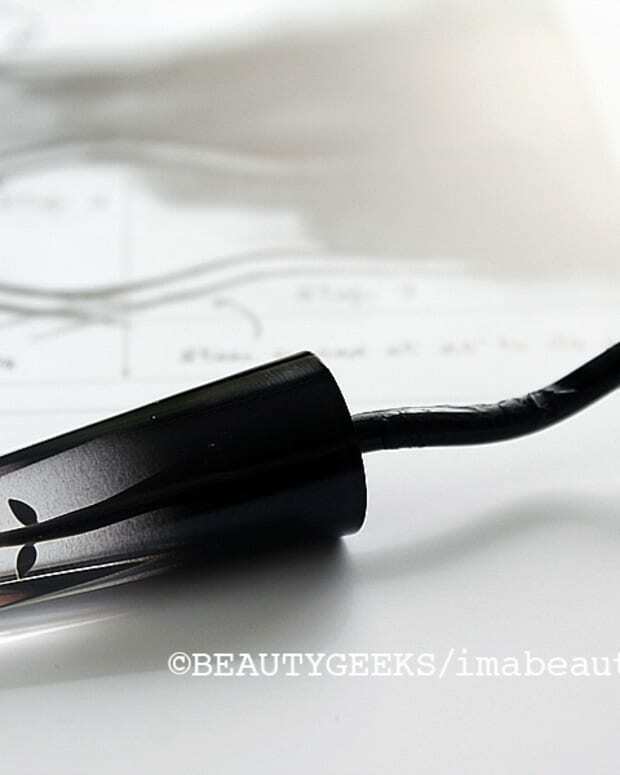 Line the lower waterline with Le Crayon Khol in Black to brighten the whites of your eyes. Apply Lancome Grandiose Mascara to upper and lower lashes. Fill brows in with an eyebrow pencil such as Le Crayon Poudre. Wipe away any eye-makeup fallout, and apply a fast, versatile foundation such as Dual Finish. Apply a high-coverage concealer such as Effercenes Waterproof Concealer over under-eye circles, and any areas of discolouration on the face. Apply a bronzing powder such as Star Bronzer for a natural sunkissed glow. Sculpt cheekbones with the outer lighter and contour shades from the Blush Subtil Trio in Rose Flush. Fill lips in with liner and apply Rouge in Love lipstick in 200B Rose Tea. Click the above images to shop the Lancome Grandiose look based on Penelope Cruz&apos;s intense-eyes makeup. lancome grandiose google hangout: rsvp! 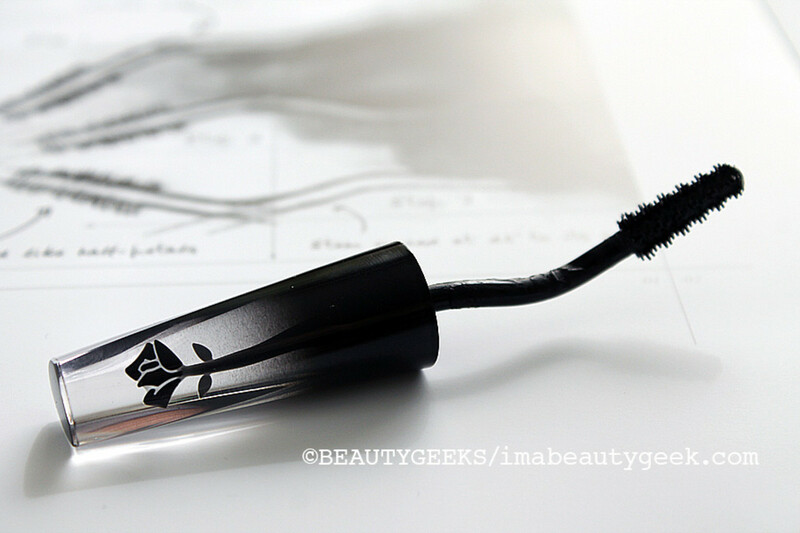 Lancome Grandiose Mascara Review Video: Does a Swan-Neck Wand and Small Brush Make a Difference?